Planning a classroom Valentine’s Day party should be a fun and rewarding event for both the parents and the students. To make the party successful, here are a few tips to follow. Before hosting a room parent meeting meet with the teacher to gather their expectations of the party. Are there games that did or didn’t work in the past? What are the food allergies? Class size? How long should the party last? Will the class be exchanging Valentine’s Day cards during the party? After the meeting with the teacher, and at least, two weeks before the party, arrange a meeting with the room parents to plan the activities. Have parents bring ideas to the meeting to review. At the meeting, it is important to create a timeline outlining how long each activity should take. Be sure to assign parents to run each activity to help the party run smoothly. Here are a few things to plan to make the party run smoothly. 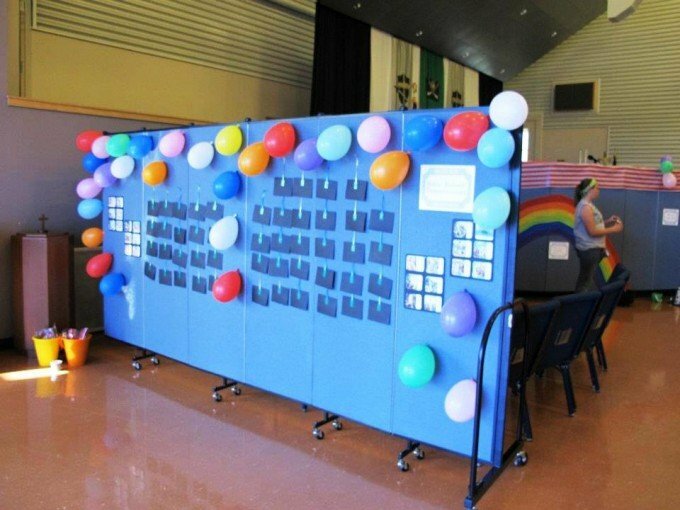 While there is some debate as to how much money should be allocated to decorating a classroom, the decorations can set the mood for the event. Talk with the teacher to see if the students can do a class activity a week prior to the party that can be used to decorate the classroom. Simple pink, white and red streamers can be hung in the classroom while the students are at lunch as a surprise upon their return to the room. Simple helium balloons tied to each chair add a nice splash of color and the kids can take them home after the party to enjoy. In recent years, the food choices have changed. With food allergies and dietary restrictions on the rise, it is best to keep food items simple. Be sure to offer food items that do not need refrigeration and that are easy to eat by hand. Even fruit can be made into a decorative fruit kabob that appeals to kids. See if your PTA will donate plates, napkins, and utensils. If not, be sure to assign this task to a parent and purchase plenty of excesses items in case of spills or misplaced items. If you are offering sugar cookies, allow the students to decorate them with frosting and sprinkles. The students will enjoy the activity and it is a simple task they can all do together at their desks. A simple beverage like water bottles is best for this party. Purchase the 8 oz size bottles to prevent waste. For an added touch create a personalized water bottle label. When choosing games for the party, you first need to decide if you will be doing games as an entire class or in stations. Stations are nice because all students are engaged at the same time because the groups are smaller. Set a time limit for each station and have a timer set to a lert students when it is time to move to the next station. If offering a group game be sure all the students get a chance to participate in the activity and no one is left standing around. We were able to locate a Screenflex portable room divider in the school that we used to hang a few of our games on. Try to locate one in your school and grab it before another class does. The rolling wall makes a bid difference for game time. With all the excitement students are bound to rush through each activity faster than the time allowed. Be sure to have a few extra games prepared just in case this occurs. Most of all it is important to remember that this event is for the kids. Parents should be willing to jump in and assist with the food and games to ensure the party runs smoothly. Try not to stand around socializing with the other parents. In the end, a well planned Valentine’s Day classroom party is sure to be a big hit with everyone! Click here for more ideas.